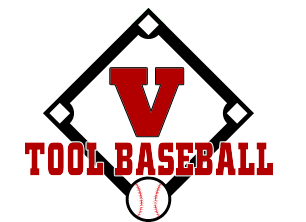 The teams we have here at V Tool Academy, whether they are softball or baseball, are designed to represent the elite of their age group. We know they are elite because nobody puts more into skill developmet than we do. We spend time on each individual skill and we make sure each child conquers that skill. We also know they are elite because unlike many teams, we take pride in the fact that we teach the mental side of the game and think it is a major component of great players. So check us out, schedule a tryout, and join one of our teams to become that player you want to be. **The absolute finest in skill development. Nobody emphasizes it more and nobody works harder at this than we do. Ask any of our players, they will tell you how much they have grown in our system. **Fully turfed indoor facility that is included in the tuition price. **Full outdoor facility included in tuition price. **100% of our seniors go play college softball or baseball. In the past year we have had players sign at Northwest Missouri State, Univ. of Central Missouri, St. Mary's University, Crowder College, Maple Woods and others. **But more than anything else, you get the benefit of having people who know what they are doing, work ultra hard for your child all the way through the college process, are honest, care about your child, but also understand this is a game and it has to be fun. We build a fun, family like atmosphere that our parents and players love. Check out some of our testimonials. No showcases at this time.